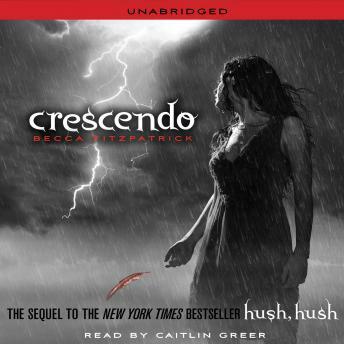 The eagerly anticipated follow-up to the New York Times bestselling Hush, Hush ! Despite starting a relationship with Patch, her guardian angel (whose title is the only angelic thing about him), and surviving an attempt on her life, things are not looking good for Nora Grey. Aside from fearing her boyfriend is interested in her nemesis, Nora is haunted by images of her father and becomes obsessed with understanding his disappearance. As Nora delves into the mystery of her father’s death, she begins to wonder whether her Nephilim blood line has something to do with it. And since Patch isn’t answering her questions, Nora has to start finding the answers on her own. But does she really want to know the truth—or will her desire for Patch outweigh any possible peace she could find? I just love this book and the rest of them I'm the series!